We again would like to see how the automated tools perform on the more difficult complex shaped object. For this experiment, we have utilized a group photo of some eggs. Taking an image of complex shaped object, now we will test these three tools. We hope this image judge the ultimate capability of the automatic tools. 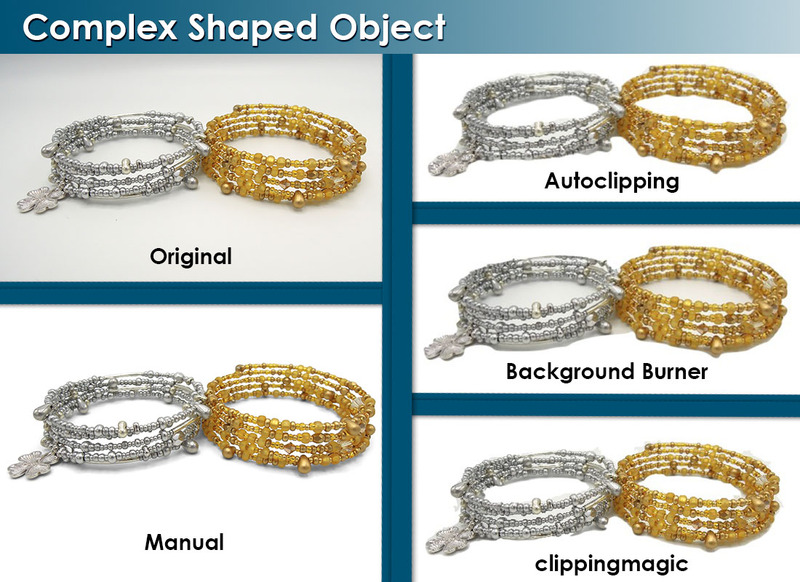 At last, we will do manually background removal work in Photoshop and make a comparison. So, let’s march ahead. Then, for the experiment, we have selected an image of compound shape which has a lot of holes (embedded transparency), many curves and drop & reflection shadows. We hope this image will take an acid test of the automated tools. We here select a picture that has a few holes, curves, shadow and delicate edge, etc. 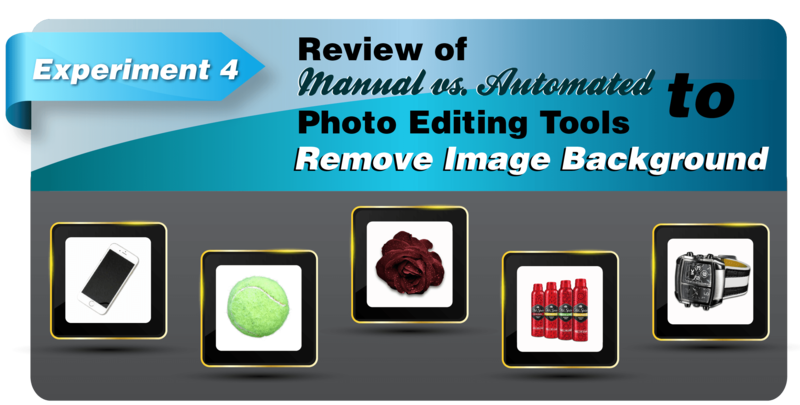 Having a multi-color contrasting live background, it is pretty much laborious hard to remove the background perfectly in online automated tools without the manual touch up. We have run our third experiment on the various objects. These objects are with the multi-color live background. This test is performed as part of a series content. We have taken several kinds of egg theme as our subject and tried to remove the background of the images. 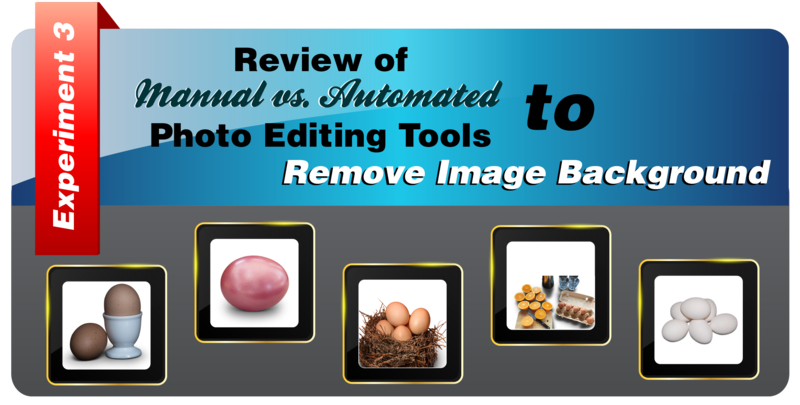 Now we would like to edit a group photo in these three automated tools to experiment how they perform on the more difficult photo. 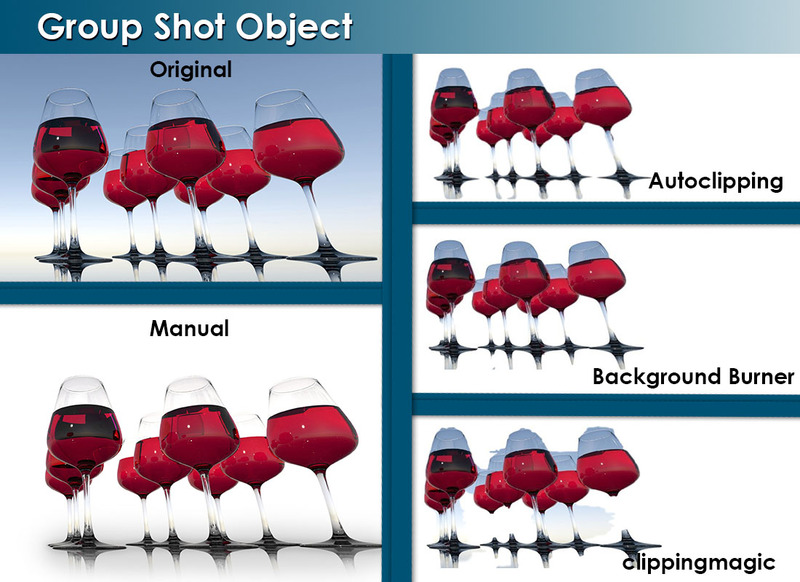 We have used a group photo of the transparent wine glass. Now, we will apply these tools on the complex shaped object. We like to test the ultimate capability of the tools. That is why, we have chosen such a complex photo of an ornament. This is time to see the result. For this experiment, we have used a photo of ornament that has a lot of holes (embedded transparency), curves and shadows. It has taken a hard test of the automated tools. 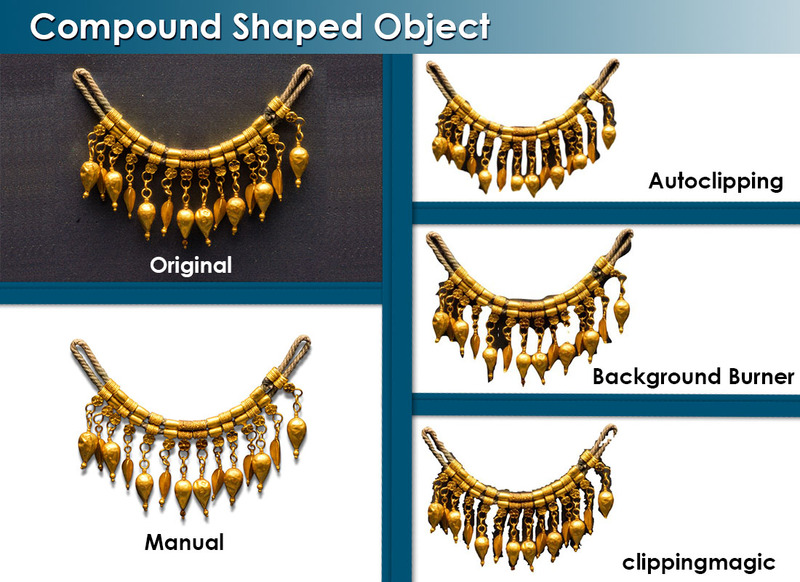 It is harder to remove the background than the previous two object types.